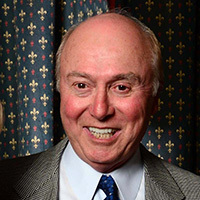 Herbert M. "Mike" Dangerfield values great service, which his company, Carey Executive Limousine, has been known for since 1964. Great service from Winship Cancer Institute personally touched his family in 2006, when his brother was treated successfully for non-Hodgkin lymphoma. "My brother is alive today even though he had cancer, which our father died from," says Dangerfield. "That made me interested in investing in Winship research." 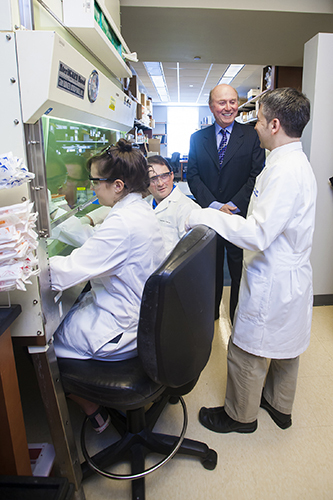 Dangerfield visited Dr. Greg Lesinski's lab to observe exciting progress in immunotherapy research that may determine how the body can heal itself from cancer. Lesinski and his team are working to turn off pancreatic cancer cells' ability to develop into tumors and exploring ways to boost immune cells' capacity to fight back. Immunotherapy drugs are helping cancer patients go into remission. Advances like these enthuse Dangerfield and affirm his decision to make a visionary investment in Winship research as a beneficiary of his estate plan. "I can just feel the mindset here, that Emory is making a difference in important research," he says. "This is where good work is being done. Through my legacy gift, I want to help even more of that good work to happen."